Londonium Solicitors is proud to announce that we are now a Specialist Quality Mark Holder Contracted with the Legal Aid Agency and are able to provide legal services in relation to criminal defence work having successfully tendered for a contract for the provision of such services under the Legal Aid Scheme. Entitlement to Legal Aid is dependent on your financial situation and means tested. Generally, those who are entitled to state benefits or on a low income will be eligible. However, you can receive free representation regardless of your financial situation if you require assistance at a police station. If you require representation on a private fee basis, we are always happy to accept instructions at reasonable rates and often on a fixed fee basis. 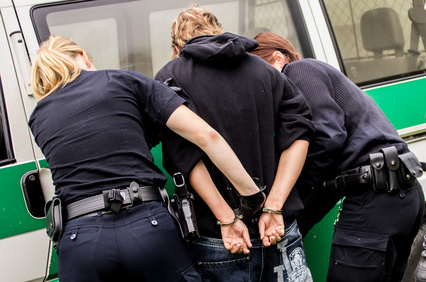 At Londonium Solicitors we have created a team of solicitors who will be able to advice clients from the initial stages of arrest/ police interview, and throughout the ensuing court process. The criminal team of lawyers at Londonium Solicitors prepare cases within a clear work ethos and framework. The guiding principles that form the foundation of every case preparation are set out before our clients at the outset of the professional relationship. All too often those suffering a criminal prosecution find that the lawyers representing them are difficult to contact. Clients and their families can suffer great emotional distress if they are left unclear and uncertain as to the progress being made in terms of the defence of the allegation. We believe that regular communication with both the client and his/her family is essential. Accessibility to the lawyer supervising the client’s case is the key. In addition to accessibility and communication, we recognise that early and sustained preparation of his/her defence case is essential to our client’s emotional welfare. There is no substitution for thorough preparation. It is the essential principle that informs all our work. Preparation guides our action from the start of any police investigation. Experienced advice will be provided before the commencement of any police interview. Conferences wherein full instructions from our client are taken occur immediately upon the charging of an offence. If expert defence evidence is required it is sought at the earliest possible stage of the proceeding. Proofs of evidence are taken from potential defence witnesses again at the earliest possible stage of the proceeding. Conferences are provided to the client and family to update them on the progress of the defence case and the proceedings generally. First, we believe that it is vital that a client is introduced to the barrister who will represent him/her in the Crown Court before the first hearing in that court. We ensure that a conference is arranged in order that our client can obtain informed and sensible advice as to what plea should be entered. This is so important because sentences receive sliding scale discounts in relation to guilty pleas. The earlier the guilty plea in the Crown Court proceeding the greater the discount. Secondly, there is one formal court document that must be produced by the defence before the trial where a client pleads not guilty. It is called the Defence Case Statement. It is a vitally important document as it sets out the defence case and requests for further disclosure of material that is in the prosecution’s possession but which they do not seek to rely upon to prove their case. Great care needs to be employed in creating this document. We instruct the barrister in the case to write this document as early as possible in the Crown Court proceeding to ensure the prosecution provides relevant disclosures of material as requested. By so acting, we ensure that the maximum pressure is applied to the prosecutor to comply with our requests. Thirdly, expert evidence is often pivotal in a defence to an allegation. Whether it be to do with DNA, fingerprints, cell site evidence, telephone data, voice recognition, handwriting evidence and much else, we have access to the best experts in their fields of expertise in the country. We act to identify issues involving expert evidence at the earliest possible stage thereby ensuring there is sufficient time before the trial occurring to properly assess complex data. Fourthly, we make every endeavour to instruct the right barrister for the job in hand. Each of the barristers we instruct have a proven track record. As indicated above, we believe that to safeguard both the emotional welfare and legal position of our client, continuity of representation from the beginning to end of the proceeding and accessibility to the barrister who conducts the case, is vital. We ensure that this occurs. Barristers vary in experience and ability. Getting the right barrister for the job in our view entails instructing a barrister who has both the forensic legal skill and advocacy ability to secure the acquittal of a client. But that is not all. All barristers that we instruct must be fearless in the face of opposing forces that are encountered in a courtroom in pursuit of justice for our clients. We enjoy working with our clients and seek to build lasting relationships. Understanding the commercial and technical aspects of your business and the markets in which you operate is important to us.